The Cary Football Club is always looking to help support the community and is always interested in providing a way for businesses and individuals to participate in our club’s vision by becoming a sponsor. 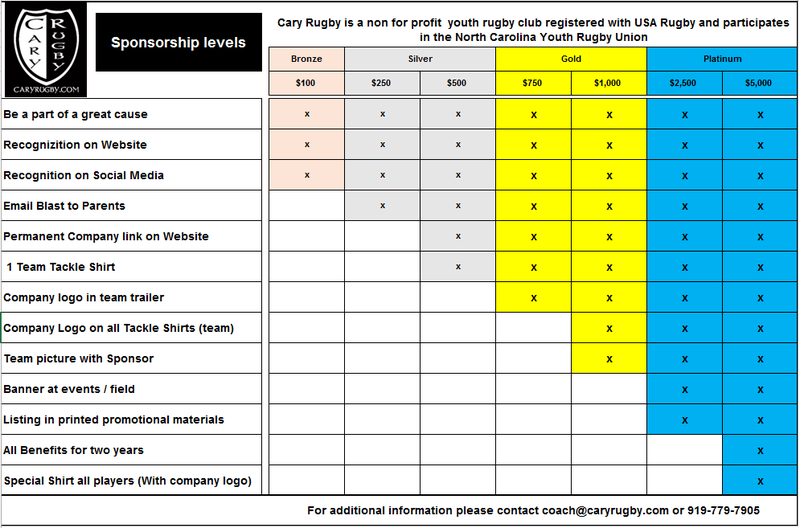 Cary Rugby is a non for profit corporation 501(c)(3). Please give us a call if you are interested in helping the club! !